Mexico’s Pacific Treasure received a group of representatives from top media from Brazil, Argentina, Colombia, Chile, and Peru. The Riviera Nayarit’s luxury offer and its exuberant natural attractions captured the imagination of a group of South American journalists who visited the destination from September 2-14 and enjoyed it in high style. The first group arrived on September 2nd and stayed through the 9th, during which time they toured the most iconic attractions in Mexico’s Pacific Treasure including Bucerías, Sayulita, and Lo de Marcos. The FAM trip titled “Hispanic South America” was composed of four writers from Argentina, Chile, Colombia, and Peru, accompanied by account executives from the Newlink public relations agency. The journalists represented outlets including Argentina’s El Clarín; Chile’s Turismo 4; Colombia’s El Tiempo; and El Comercio, from Peru. 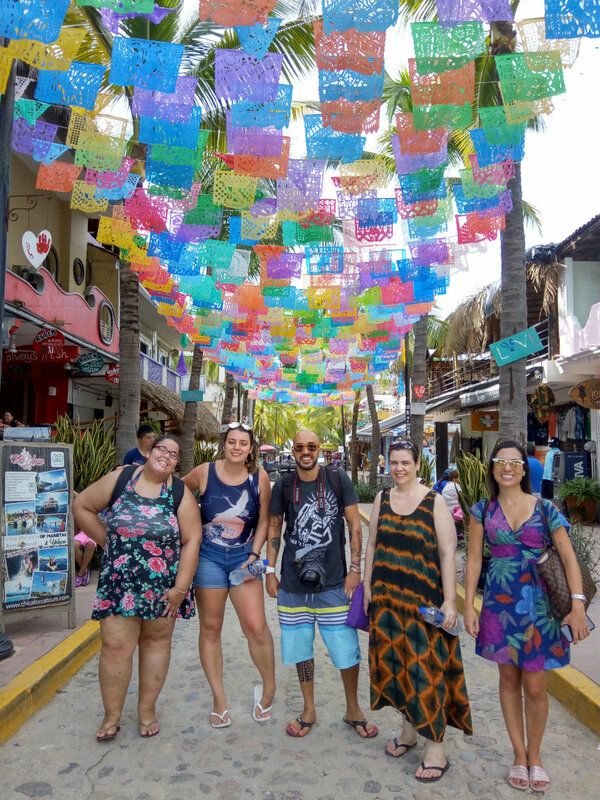 The first stop on their itinerary was the Nuevo Vallarta-Flamingos tourism corridor, where they explored the coastal villages of Bucerías and Sayulita. In San Francisco, known as the “Cultural Capital of the Riviera Nayarit,” they strolled through the town then toured La Patrona Polo & Equestrian Club, the Entre Amigos Community Center, and the Cielo Rojo boutique hotel. The group enjoyed the hospitality of the Marival Residences Luxury Resort and the W Punta de Mita and also had the opportunity to go on ecotourism activities in Lo de Marcos with Xplore Mexico. The second group was made up of Brazilian journalists who stayed in Mexico’s Pacific Treasure from September 11-14. The travelers arrived in the region on Sunday, September 9th. 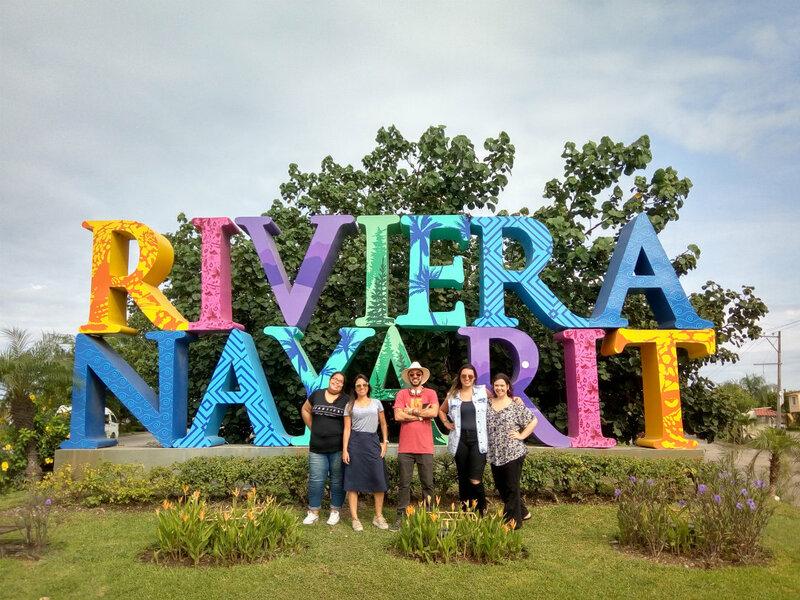 After spending a day in Puerto Vallarta, they drove up to the Riviera Nayarit where they were welcomed the public relations team representing the Riviera Nayarit Convention and Visitors Bureau (CVB) and the Bahía de Banderas Hotel and Motel Association (AHMBB). 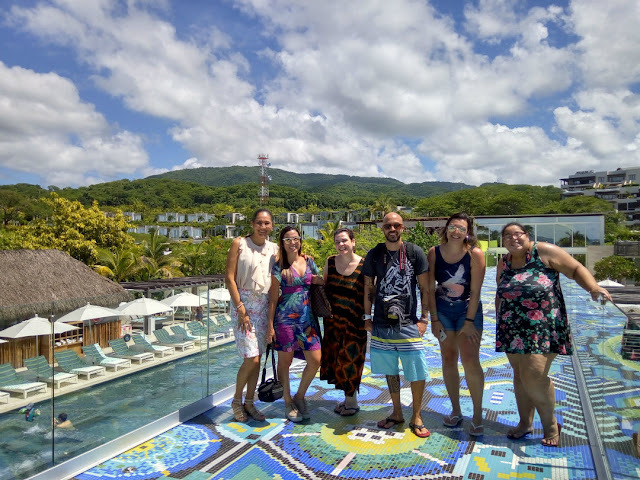 The group included writers from four of Brazil’s top tourism, luxury, nature, and travel media: Qual Viagem Magazine, O Globo, Top Destinos, Brasil Travel News, plus a representative from the Smartpr Public Relations and Communications Agency. 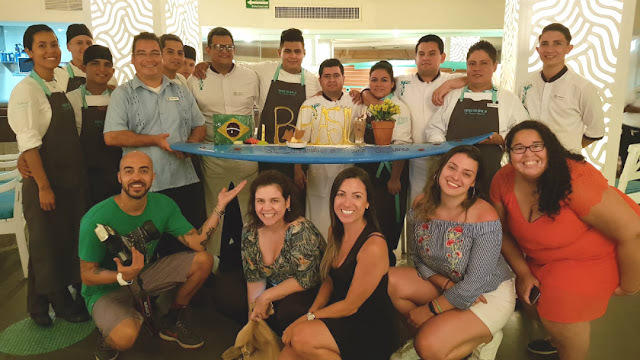 Their first activity was a site inspection at the W Punta de Mita, where they also savored Nayarit’s exquisite gastronomy. They were then transferred to The St. Regis Punta Mita Resort, which welcomed them with their signature five-star service. Included in their itinerary were visits to the traditional villages of San Francisco (also known as San Pancho) and Punta de Mita, as well as a stop at the Islas Marietas, a tourism icon of the Riviera Nayarit. “We’re confident in our goal of attracting more tourists from Brazil—this is a very important potential market for the Riviera Nayarit because its travelers have high purchasing power,” commented Marc Murphy, managing director of the Bahía de Banderas Hotel and Motel Association (AHMBB) and the Riviera Nayarit Convention and Visitors Bureau (CVB). The Riviera Nayarit with its charming beaches, boutique hotels, golf courses, sophisticated hotels, colonial cities, and exquisite gastronomy attracts 2.5 million visitors every year. The Riviera Nayarit Convention and Visitors Bureau (CVB) and the Bahía de Banderas Hotel and Motel Association (AHMBB) reaffirm their commitment to working intensely to attract more and better tourism to Mexico’s Pacific Treasure with the support of the Government of the State of Nayarit via the Tourism Promotion Trust (Fiprotur).